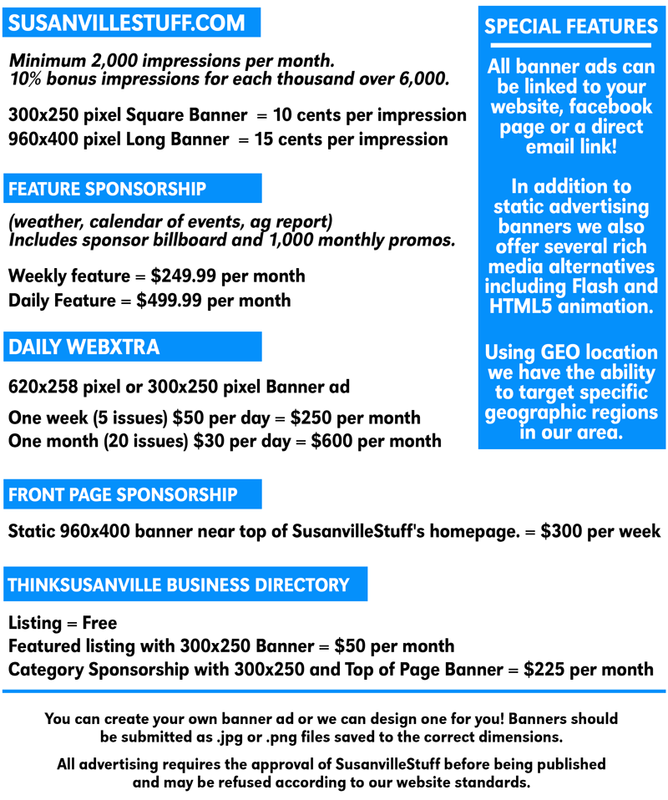 If You Do Business in Lassen County, You Need to Advertise on SusanvilleStuff! 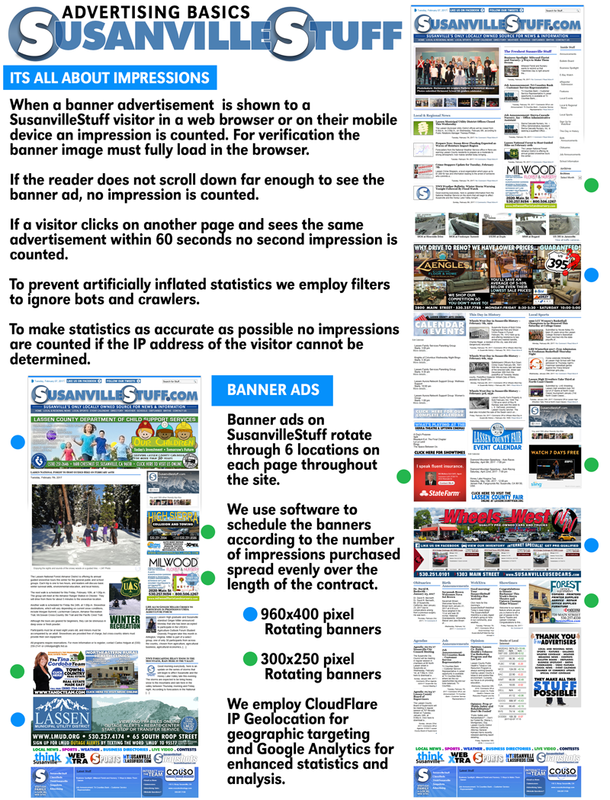 When a banner advertisement is shown to a SusanvilleStuff visitor in a web browser or on their mobile device an impression is counted. For verification, the banner image must fully load in the browser. If the reader does not scroll down far enough to see the banner ad, no impression is counted. If a visitor clicks on another page and sees the same advertisement within 60 seconds no second impression is counted. To prevent artificially inflated statistics we employ filters to ignore bots and crawlers. To make statistics as accurate as possible no impressions are counted if the IP address of the visitor cannot be determined. Minimum 2,000 impressions per month. 10% bonus impressions for each thousand over 6,000. Includes sponsor billboard and 1,000 monthly promos. You can create your own banner ad or we can design one for you! Banners should be submitted as .jpg or .png files saved to the correct dimensions. All advertising requires the approval of SusanvilleStuff before being published and may be refused according to our website standards. Are you ready to be a part of SusanvilleStuff? Do you have questions? Just email us at advertising@susanvillestuff.com!